During the last edition of FITUR, The Blueroom Project has successfully managed the communications and marketing of a very diverse list of premium clients and relevant brands of the tourism, luxury and lifestyle sector. The Fair was the showcase for Tourism Authorithy of Thailand to introduce the destination’s hot news by presenting Thailand as the first Asian country to host the fourth edition of the World Forum of UNWTO on Gastronomic Tourism. Thus, The Blueroom Project held a press conference and a networking lunch with more than 60 attendees. On the occasion of the 150th anniversary of the establishment of the diplomatic relations between Japan and Spain, TBP summoned for Japan National Tourism Office around 200 key professionals in the travel field, who enjoyed diverse cultural and traditional representations. Moreover, during the Fair, The Blueroom Project had meetings with more than 100 communication media and tour operators. Also, The Blueroom Project had managed till 20 meetings for South African Tourism and received more than 40 professionals for Costa Rican Tourism Office. 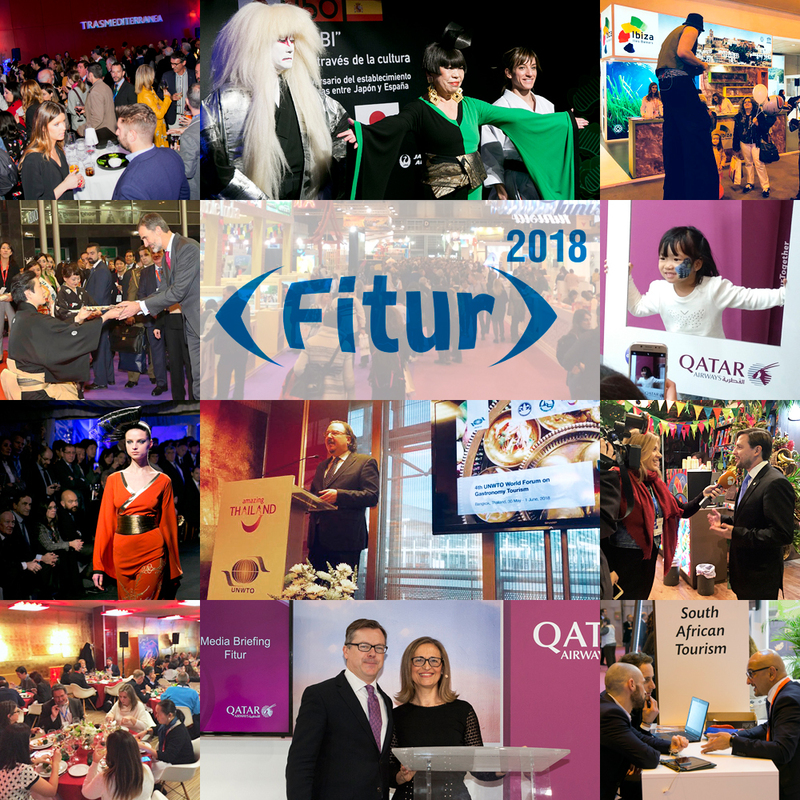 In addition, Qatar Airways and Santa Eulària des Riu Tourism (Ibiza) presented their new, new things for 2018, like the launch of new routes and destinations for Qatar Airways and the strengthened seal of Family Tourism of Santa Eulària des Riu, in front of 40 and 35 nationally renowned media, respectively. Furthermore, Blueroom organized the weekend´s activities for both clients, like massages and face painting for Qatar Airways and a clown and balloons that enlivened the fair for Eulària des Riu.